Each week we’re tackling your wine questions head on in our “Ask A Wine Pro” series. This week’s question addresses the often confusing terms used to describe ‘green wines’. Can you explain the differences between organic, biodynamic and natural wines? This topic is vast, so we’ve touched on information that we hope will help you make more informed decisions when considering regular, organic, Biodynamic or natural wines. The concept of Organic Wine seems simple enough; but, organic wine is only legally defined in a handful of countries, and those countries all have different legal definitions. Throw the different terms ‘organic wine’ and ‘wine made with organically grown grapes’ into the mix, and you start to see where the confusion comes from. So, what information will help me understand the wine I’m drinking? In general, organic wines are made from grapes that are grown using only naturally occurring substances. That means nothing manmade like fertilizers, pesticides or GMOs. As an example, they use elemental sulfur to control powdery mildew and the salt copper sulfate to control downy mildew. Organic farmers often focus on prevention rather than a cure, such as canopy management to reduce the risk of rot. Organic farmers are concerned with soil health, which is often achieved through the application of organic fertilizer in the form of compost. Wine made from organically grown grapes is far more common and is the only acceptable definition in the EU – their standards for organic only cover practices in the vineyard, not in the winemaking process. Organic wine is more common in the United States, and the wines must not only be made from organically grown grapes, but also cannot use additives like sulfur dioxide, certain fining agents or mechanical processes like centrifugation. Few wines are made this way due to spoilage concerns, and are best drunk as soon as possible after bottling. 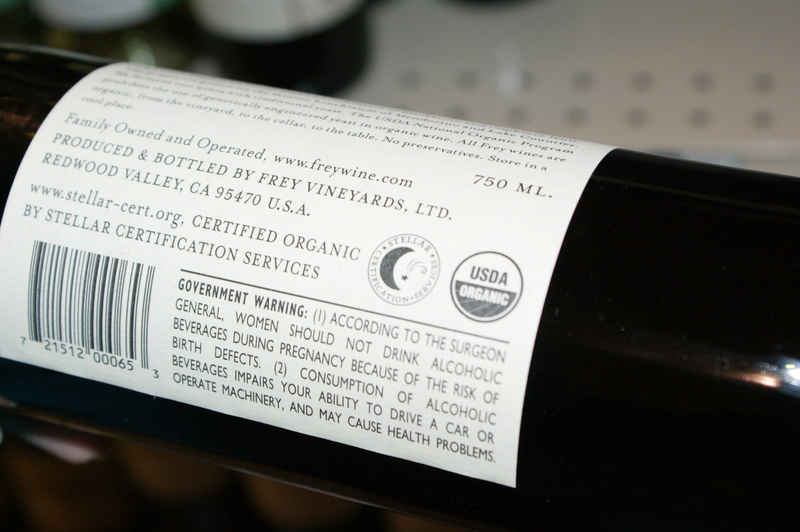 To label grapes or wines as organic, a vineyard must, in most markets, have third party certification from a non-governmental organization. It is also important to note that many farmers use organic farming methods, but choose not to get certified as organic, and hence cannot label their wines as such. The organic certification process is lengthy, taking three years, and some farmers prefer to skip the official process altogether. We recommend researching the vineyard that your wine is coming from to get a better understanding of what goes into your glass of wine. The more you know! Biodynamic is an interesting, and somewhat polarizing topic. We’ll lay out the facts and let you determine which side of the biodynamic wine spectrum you land on. Based on theories of Austrian philosopher Rudolf Steiner, which he laid out in the 1920s for agriculture in general. It’s an enhanced form of Organic Viticulture, where once again, no chemicals or manufactured additions are allowed. The two main sprays used in the field are Horn Manure and Horn Silica – prepared by burying either cow manure or ground quartz in a cow horn for six months over winter or summer (respectively). Organic fertilizer in the form of compost is used to nourish the soil, and compost material should be generated in the vineyard, not brought in. 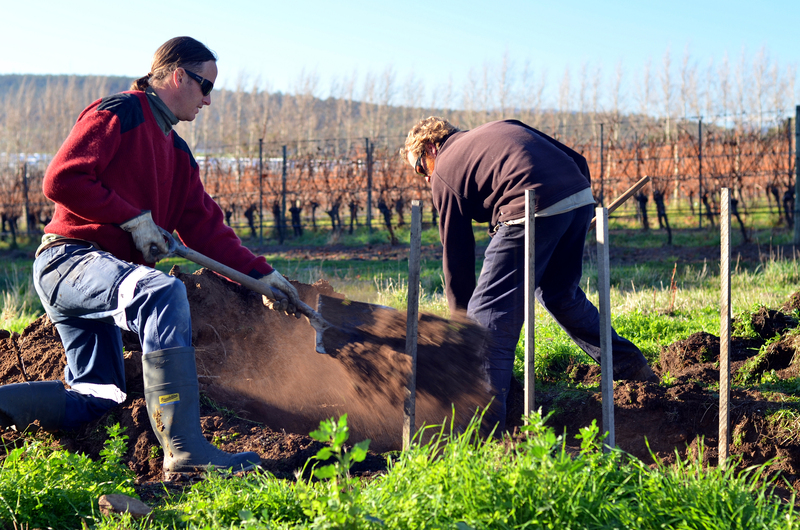 Biodynamic farmers view their vineyard as a living organism which can be maintained in a self-sustaining way, and they view earth as a living organism with diurnal and seasonal rhythms dependent on, and receptive to, cosmic cycles. The plants have four components – root, leaf/shoot, flower, and fruit – that are linked to the four elements – earth, water, air and fire. Each part of the plant is favored during different parts of the moon’s cycle when the moon is positioned in front of the 12 signs of zodiac. Although it’s nearly impossible to measure Biodynamic success scientifically, soils have been tested against non-Biodynamic soils and the results showed an increased disease suppression, less compaction, and more organic material. Growers say that their vines are less stressed, that they respond to disease better and that they can uptake minerals more efficiently. So what do you think? Will you be seeking out Bio-d wines from here on out, or are you of the ‘witchcraft’ mindset? Let us know in the comments below! There is no official definition of ‘Natural Wine’, a term that originated in France, but natural wine is typically a wine made from grapes that were farmed organically or biodynamically, and that theory is followed through in the winery with the grapes being processed with the absolute minimal manipulation possible. Machines can cause grapes to break, which starts the oxidation process, which requires chemicals (specifically sulfur sprays) to combat. Utmost care is taken to avoid this issue when picking by hand. Why is natural wine so controversial? The biggest issues in the United States are likely the variation from bottle to bottle along with the color and clarity of natural wine. The lack of additives and sulfur mean that wines won’t be consistent from bottle to bottle, which is exciting for some and terrifying for others. It also means your wines won’t be crystal clear, rather you can have a ‘murky’ wine with colors you may not be used to. In theory, everything is done “as nature intended”, like traveling back to winemaking of the nineteenth century. It is important to note that the term ‘Natural Wine’ lacks any official certification or requirements, so be sure to visit a Natural Wine shop or do a bit of research before buying. So there you have it. If you have any further questions on the topic, just post them in the comment section below and we’ll get back to you ASAP. We also recommend asking around – the discussions and opinions that this topic ignites is amazing, from sommelier to winemaker to consumer. If you’d like us to answer one of your wine questions, shoot us an email (support@tayloredwines.com), tweet (@tayloredwines) or Facebook message (/tayloredwines). Cheers!